Pork and bok choy were both on special this week, so we bought them not knowing what we would cook. A quick search on Jamie Oliver’s site found a simple recipe for each – dinner was on the table in under half an hour. The fennel had a noticeable aniseed flavour which not all of us usually like, however we very much enjoyed it with the pork. The bok choy recipe was foolproof – we love bok choy, as we do red onion, garlic, basil and oregano so we were confident we would enjoy that. 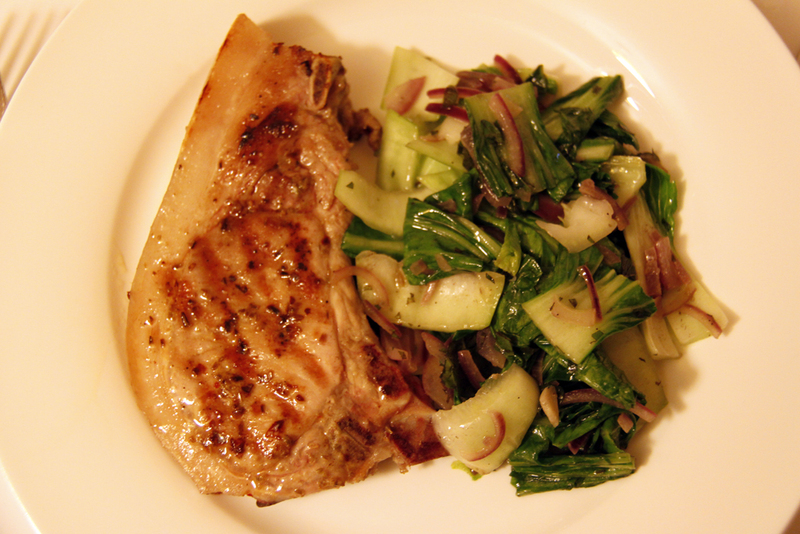 This entry was posted in Dinner, Food and tagged Bok Choy, Dinner, Fennel, Food, Pork. Bookmark the permalink.